The things you find in the back of your parents' pantry. Works great. Mom's was white with black control dial. I wish I had it! Am sure she tossed it at some point. I have that one of my mom's. Circa mid-to-late 50s, is my guess. My mother's was was ivory with a black dial. I suspect that it was a wedding present, i.e. late 1930s. Long gone, both Mom and Mixmaster. Sigh. 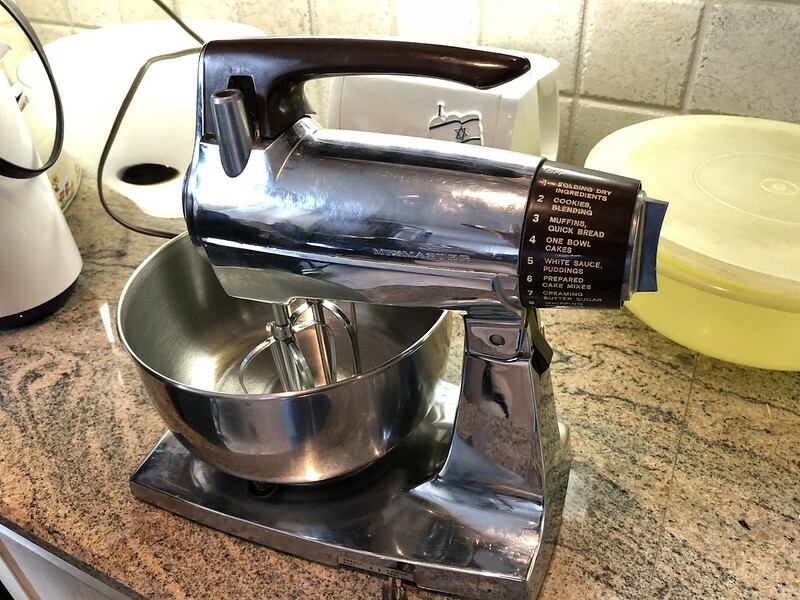 I have been cooking and baking all my life without a stand-mixer because I've never been willing to dedicate space for one. And now I'm used to getting along without. Too late. 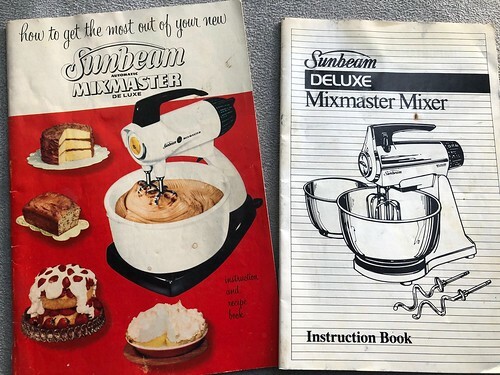 I remember that Mixmaster with those settings. 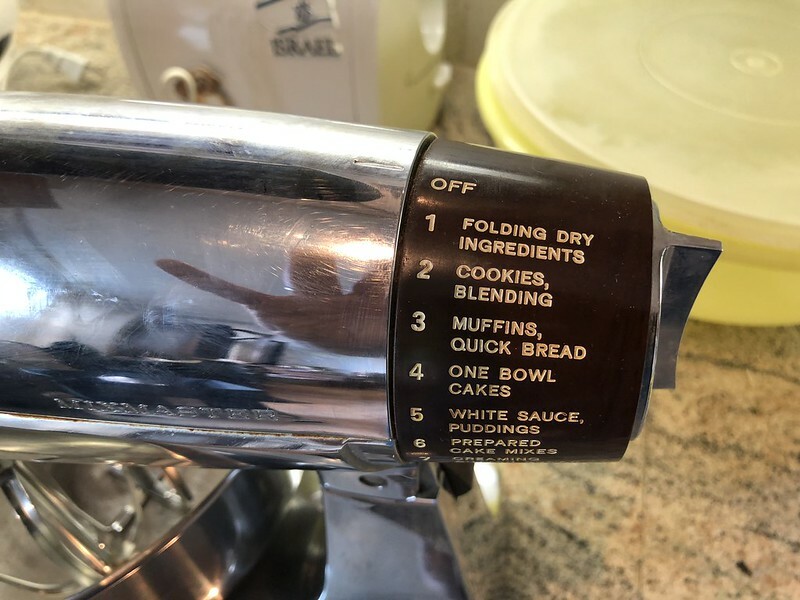 My mother was using one in the late 1970s, but I don't know when it was acquired--I'm guessing sometime between their wedding in late 1967 and the mid-70s.